Bringing bags is about more than just being prepared and not having to pay that five cent charge for a plastic bag, it's about reducing plastic pollution. Reducing plastic pollution is good for the world, and of course protects all of those ocean animals who might get stuck in them, but it's also a big step for improving and protecting your own health. The more plastic we can keep out of circulation and out of the world, the more we are helping to stop plastics from breaking down into what are called microplastics (basically really tiny pieces of plastic, so small we can't see them with our naked eyes) that can end up in the food chain and in our water supplies and eventually affect our health. So, here are 5 of our fave ways to basically act like a squirrel and stash bags everywhere. 1. If you have a car, leave one in the center console, the glove compartment, or the trunk - or if you want to really commit, put one in all of those places. Then you will always have one when you drive to the store. 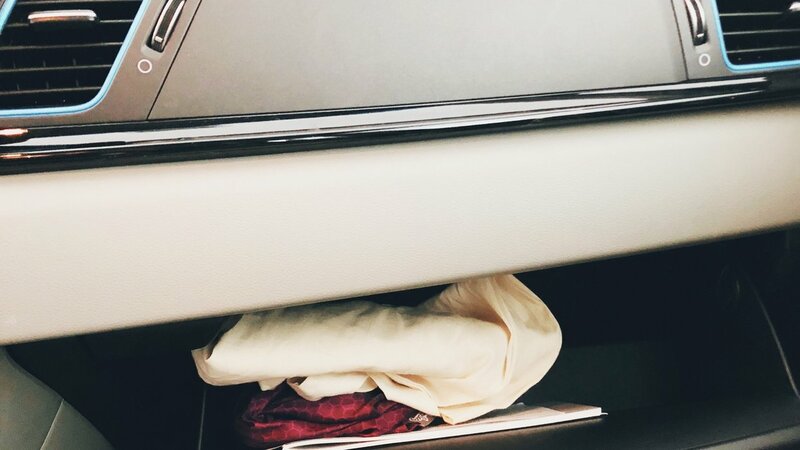 If you think you might not remember to grab your bag when you get out of the car because it's out of sight out of mind hidden away, consider keeping a folded up one in your cup holder. Then, you will always see it when you are getting out of the car and remember to grab it. The one thing with this is that you do have to put the bags back in your car after you use them. So, while it might be annoying, after you unpack your goodies, just take the minute and put them back. Or, try tip 3 or 4 to help you get them back out to the car. 2. Take another one of the bags that folds or rolls up and toss it in your purse, backpack, briefcase, or gym bag (or, again, all of the above). Chances are you'll stop somewhere on your way home one day and be really happy to have one just stashed away. 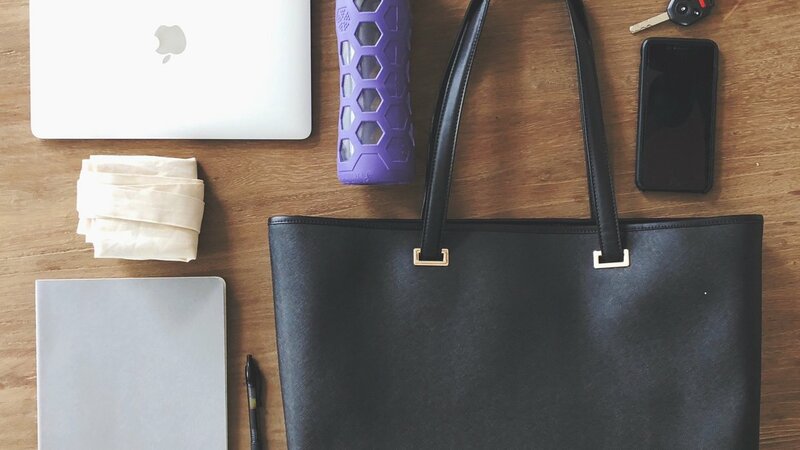 It'll be so much easier to get your groceries home in your extra bag than trying to squish everything in with your laptop or sweaty gym shoes (gross). 3. If you know you are going to go grocery shopping later in the day or the next day, when you are thinking about it, drop some reusable bags near your keys (or put your keys in a bag) so that when you leave you can't forget them. Alternatively, stick the bags at your front door, or hang them on the door handle so you literally can't leave without walking into them. It'll be annoying, but you'll remember the bags. 4. 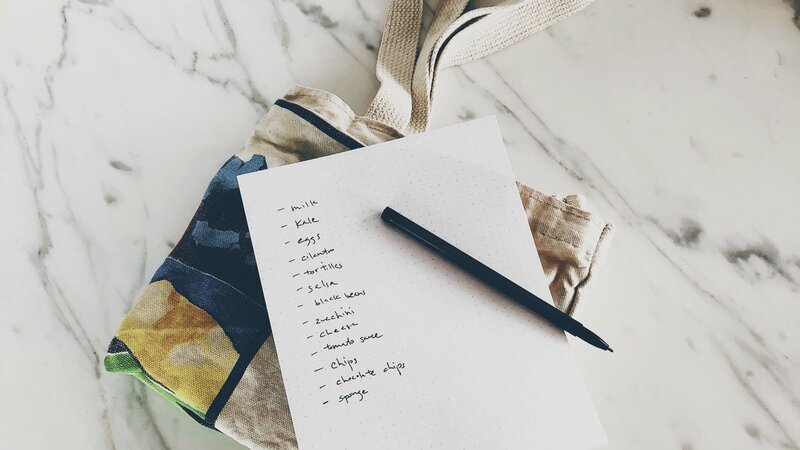 If you are the sort of person who makes grocery lists or meal plans, put your list on top of a stack of bags. That way when you leave, you'll have both the list and your bags. If you are more the type of person who makes lists on your phone instead of on paper, try setting a reminder to go off for a location (like leaving your home) and your phone will give you a heads up - yes, your phone can do that. 5. If you have a smaller bag that can be squished pretty small, consider leaving it in the pocket of a jacket you wear often or the sweatshirt you throw on just to run to the corner store for those times when you accidentally forgot that one vital ingredient for your dinner. *Bonus tip: if you have also invested in reusable produce bags (props to you! ), try storing them in one of your reusable grocery bags. Keeping all of your bags together will make it more convenient than trying to go around the house collecting them all before you have to leave for the store. The more you bring your bags, the easier it will be to remember them in the future. Chances are you will also learn which methods work best for you. I personally am the person who just like to leave bags hidden everywhere, but you might prefer to pull them out when you are planning. While we love all the free bags we have collected from different events and stores, we also have realized the few bags we have purchased - including the ones from the grocery store, which are often less expensive than other brands - that look nicer or are easier to use or have a special features (like being insulated or folding into a pouch) are the ones that we use more often. 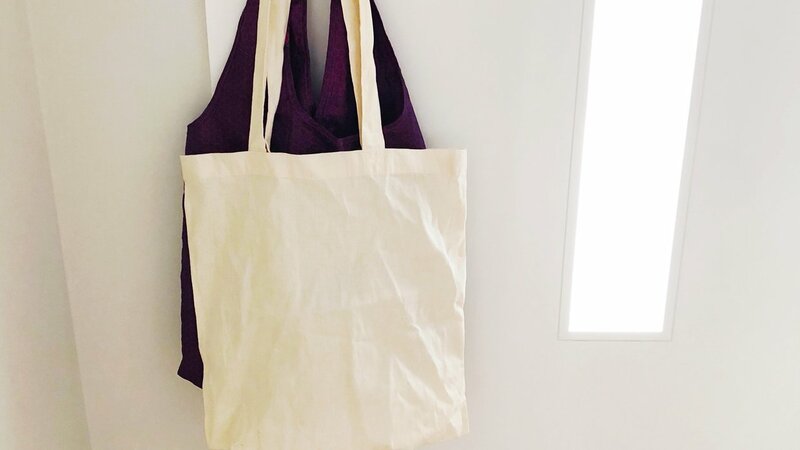 So, if you've been eyeing a cool reusable bag, getting it might be just the push you need to help you remember to use your reusable bags more often. No matter what your bag looks like, once you start taking them with you all the time, it'll become a habit. It might seem like a small step, but all of these small steps add up over time. One person bringing their reusable bag with them can stop at least 365 plastic bags from ending up in landfill each year(1). That adds up quickly!